I like many others out there some times I struggle to focus on a book. Especially when its a slow starter. I have recently been reading “Its not how good you are, its how good you want to be” – its one of those great self help books, and perfect for those of you who may be struggling professionally. I was trying to get back into yesterday morning after a break and realised I had read the same page 3 times over, and I was still non the wiser as to what the page read. So I decided to nip over to my Nespresso machine and use some of my Nespresso compatible capsules to see if they could give me a boost. The PodistaUK Supremo coffee pods were the perfect pick me up and just what I needed to get me back into the swing of things. I must say these Intensity 10 pods are my personal favourite from this coffee range. Although I do have a bit of a sweet tooth! 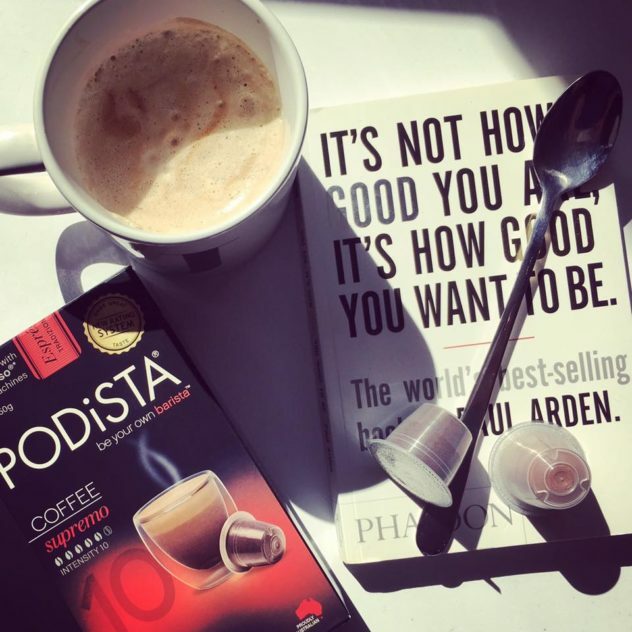 and my ultimate favourite flavour in the Podista range is their Nespresso compatible hot chocolate pods, not ideal if you are wanting to read a 1000 page book however, but perfect for a wind down after a long busy day.